JQ Talks: NEW K-Beauty TREND: Applying 7 LAYERS OF TONER On My Face?! 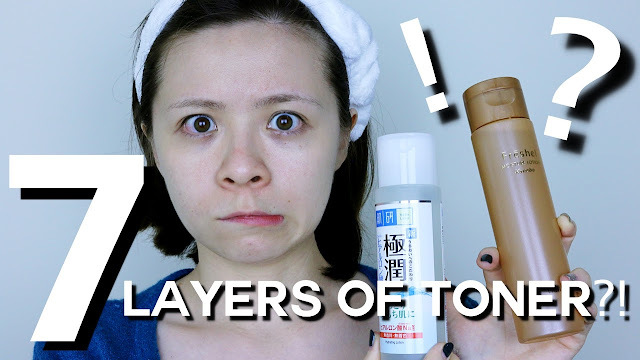 NEW K-Beauty TREND: Applying 7 LAYERS OF TONER On My Face?! So I've first seen this trend a few months back from Edward Avila's youtube channel. I thought to myself, "This is crazy and just too time consuming", but I still had to do a video about it and try it for myself to see if it really make any difference. Unless you are a skincare junkie, an average woman in this world probably won't buy into this new trend because it's just not practical. Then again, when it comes to skincare and beauty, you'll never know. YouTube Channel for more videos!